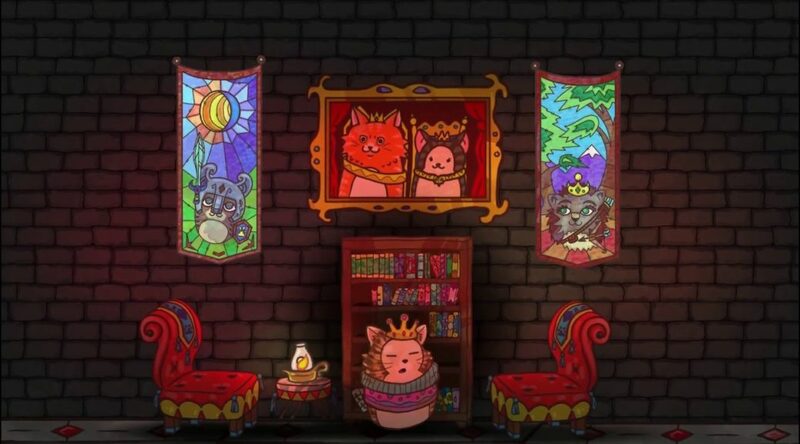 Cat-lovers are about to receive the royal treatment on Nintendo Switch. Drunk Robot Games has announced that A Purrtato Tail is heading to Nintendo Switch in 2019. The game will feature Metroidvania elements and puzzles. Of course, it will include a lot of potato-shaped cats too. Comedic and filled with character and cats, A Purrtato Tail places the player in the paws of Queen Pixel – leader of the potato cats. Whiskered whispers speak about a race of mysterious bioluminescent creatures whom thrive in the dark, appearing across the Isle of Moar. The existence of the Nightshades proves to be real when they burst forth from the shadows, igniting their secret plan by kidnapping Queen Pixel’s most trusted adviser – the Elderstar. The Queen of Purrtatoes must now venture into the world, navigating treacherous pits by collecting characters, connecting them together to form bridges and ledges. She must solve puzzles within the world itself by utilizing the unique abilities of each character, fight Nightshades with her sharpened claws, and discover the foul secret of the Nightshades’ dark plan. – Build your party with over 20 unique vegetable-cat characters! – Form ramps and bridges with your party members. – Use each character’s ability to cut ropes, fill water basins, move heavy objects, and more. – Brew and drink catnip-infused tea for heals and boosted stats with the Tea Crafting system. – Collect cards throughout the world and build decks to fight characters in the Spherical Link card game! – Explore an open 2D world filled with plenty of hidden nooks and crannies!